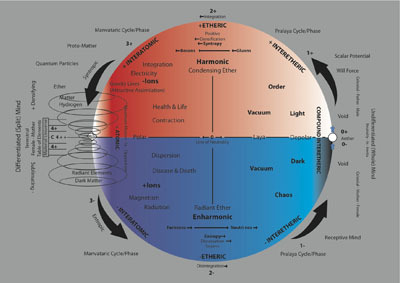 Symbolically showing full dynamical gamut of Mind (on right) integrating counter-clockwise (top of chart) into Matter (on left) and Matter disintegrating (bottom of chart) to Mind in a continuous loop. Thus illustrating decentralized Mind is non-motion-in-inertia while Matter is Mind-in-motion, centralized. 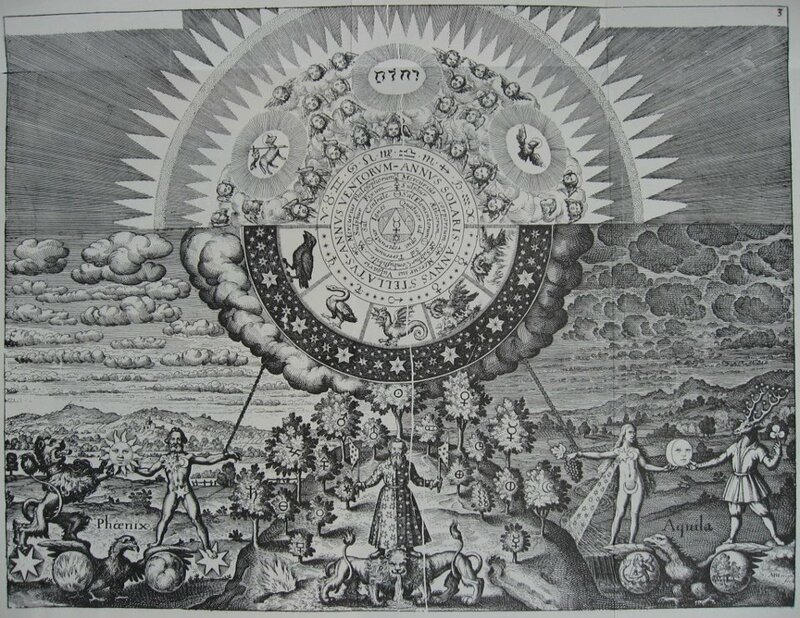 Also shown are the various dualities as found in nature, Keely's structural concepts, Russell's Locked Potentials and links to conventional science and Eastern philosophies. Red is syntropy - blue is entropy. Another way to see the elements of this chart click here.